It’s 8:27 a.m. in Tucson, and ABC KGUN 9 news anchor Liz Kotalik is running through the morning’s headlines. Between segments, she glances down to her smartphone to chat with the 200-plus viewers currently watching her on Periscope. The new-ish live video-streaming app owned by Twitter is one of two that debuted earlier this year. The other, Meerkat, made a splash at the South By Southwest festival in March, but quickly flamed out as users flocked to Periscope, which boasts a better user interface, cleaner design and smoother integration to Twitter where both apps source followers. (For a side-by-side comparison of the two, check out this chart. These apps represent the next stage of personal live streaming, putting the ability to broadcast right in the hand of anyone with a smartphone. That’s a lot of power, and like the broader Internet, content on Periscope and Meerkat runs the gamut from fascinating to banal. For example, Kotalik’s stream was an entertaining look behind-the-scenes of a newscast. She was polite, candid and a little flirty as she talked about her grandmother, eating some bad charcuterie, and joked with commenters about her producer who eventually told her to get back to work. To be sure, finding feed worth watching takes some patience. From a purely voyeuristic standpoint, the app offers fleeting glimpses into the everyday lives of others willing to share their private worlds. Many feeds simply feature people (mostly younger) directly addressing the camera and answering mundane viewer questions. (I suggest skipping these.) Like much of social media, there’s something inherently narcissistic about the whole thing. That dearth of useful content is a consequence of the relative novelty of both these apps. We are seeing lots of experimentation, not all of it particularly interesting. However, as awareness and comfort with the app increases, we will likely see users deploying it in more creative ways. Digital strategist Ron Bronson, who has been experimenting with both apps since they debuted, is bullish about their potential applications. Bronson says the ephemeral nature of Periscope and Meerkat means they are less about the individual broadcaster than about what they are broadcasting and whatever value viewers find in it. He notes that the most successful feeds he has seen have been visits to zoos, aquariums, sporting events and other public places where viewers get to share in the experience. In my own Periscope surfing, I have found myself lingering on feeds that provided similarly collective moments. On a recent evening, I caught a Sufjan Stevens concert in New York, a boat tour of Sydney, a newscast, TV show recaps and even a Mystery Science Theater 3000-style viewing party. On the breaking news front, I discovered several feeds streaming from Baltimore during the height of the recent riots. It’s here where the true power of Periscope reveals itself. Presented without the filter of cable news, these feeds shared a raw, first person perspective of events on the ground. That kind of proximity is powerful, affecting and humanizing. 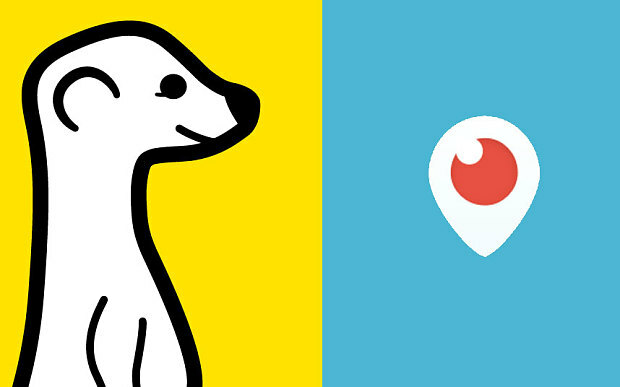 As the 2016 election ramps up, both Periscope and Meerkat will be additional platforms on which candidates will attempt to engage the electorate. White House Press Secretary Josh Earnest was an early adopter of Meerkat, doing an interview on it back in March. GOP candidates Jeb Bush and Rand Paul have also jumped onboard early using Meerkat to give voters a behind-the-scenes view of private events. Such access can be a double-edged sword. While social media presents an unprecedented ability to connect with voters, it also means candidates will be scrutinized 24/7. As the Columbia Journalism Review’s Alexis Sobel Fitts points out, such attention only increases the likelihood of gaffes like Mitt Romney’s disastrous “47-percent” comments in 2012. Surprisingly, it’s not politicians who are feeling the burn of streaming controversy; it’s content providers. HBO put Persicopers on notice in April when numerous streams of the Game of Thrones season premier popped up on the app. Illegal feeds were also rampant during the Mayweather-Pacquiao boxing match earlier this month. In addition to piracy and media rights issues, Periscope and Meerkat present a slew of privacy concerns. Whenever you go out in public you are willfully ceding a certain amount of your anonymity. We have become accustomed to being on camera in banks, at traffic lights or just walking down the street. However, as our awareness of our lack of privacy increases due to egregious violations by the State, corporations and hackers alike, we have begun to seriously question this uneasy arrangement as well as heavily scrutinize any new threat to our anonymity. Periscope and Meerkat post just such a threat. Unknowingly having your image captured by a stranger and broadcast to the world doesn’t sit well with most people — just ask Google Glass users. While it’s safe to assume most people won’t use these apps to such insidious ends as ogling women or eavesdropping on other’s conversations, there will always be bad actors. He also urges parents look at and understand these apps. “There’s no quality control,” he says, explaining that neither Periscope nor Meerkat are vigilant about monitoring individual streams for inappropriate content. Like the rest of the Internet, parents must be aware of how their kids are using it. For those of you curious to try out these apps for yourself, there are a couple things to keep in mind. First, don’t be rude. Respect the space and privacy of others. When at an event, be mindful that you’re not obstructing the view of others by how you hold your phone. And beware: both Periscope and Meerkat are data monsters, chewing through more than 400MB per hour. So unless you have an unlimited data plan, stick to wi-fi. Most important, experiment and have fun. New apps like this present exciting opportunities for you to share yourself with the world if you so choose. Go forth, and stream away.